The cell in fractal space. Life thus start in the 5 Dimotions of particles, which already show all the elements of life, but those dimotions should be studied properly in physical stiences. We have just introduced some of its key concepts – such as the apertures of an atom through its 5 quantum numbers, notably the spin as the ‘vehicle’ of its internal simplex aei demotions and the social magnetic field as the organizer of its groups, so the anthropomorphic reader can accept the obvious: that life starts in particles and atoms and so the building of life through the social evolution (5th Ðimotion) of atoms into molecules and cells and organisms and ecosystems and Gaia, and the same process for historic super organisms and metalife (Robotic machine) would be the whole span of biology. But obviously we study machines in the eco(nomic)system and humans in historic sciences. So to ‘establish limits’ to the domain of what is CALLED organic life (a silly word as all, we have shown is organic) would span from aminoacids to ecosystems of ‘carbonlife’, the proper name for biological sciences, as different from metalife, the proper name for machines and human life for social sciences. This section studies Life systems. They have the same nature that all other systems, but they have more ‘information’ and ‘less energy’ according to the Metrics of 5D-scales: Se x To =K. ‘On the Origin of Species’ Darwin, on the arrows of ST-reproduction and To-evolution of form of biological existences. Temporal analysis of the different circadian rhythms speeds of time, palingenesis, and genetic clocks, which accumulate the information of lower scales in ternary patterns of epigenetics beyond the gene-enzyme level. Expansion of Biology to other sciences. – Subjective reason. We Uo, humans perceive biological systems – what we are – closer to us, and since ‘information, form, time cycles, heads/particles’ dominate the other two arrows/topologies of the Universe, reproductive waves-bodies and energetic limbs-fields, we prefer to ‘perceive form’ in our closer range (so we see still the Earth with no motion to perceive better its forms). Thus we ‘see’ more information in biological systems. – Objective reason: Human life systems, as the supreme ‘zero points’ of information that gauge and perceive the Universe, the most perfect super organisms, MUST become the measure of all things. Life is extremely complex in its varieties, and ‘quality’ of forms (witness just the 3D folding of different protein molecules), as opposed to the ‘quantity’ isoforms of physical crystals, states of matter and cosmic bodies. So we obtain more knowledge of the game of existences, studying life. -So it is obvious we should expand the concept of complex life organization, to the 2 main other fields of science. Since human societies must be studied as super organisms of mankind and to eco(nomic)systems and company-mothers of machines, which are both symbiotic but also compete with our species in labor and war fields. Thus social sciences are also studied as biological systems, of two type, human societies and mechanical life, that are metal-machines, a different ‘system’ than life: the economic ecosystem. Gaia is a super organism, as Hutton the father of geology rightly stated (he coined the term precisely for Gaia). Further on laws of biology must be extended to physical systems, some of its properties being clearly organic when we study them in its equilibrium regions of maximal form. Galaxies are super organisms that can be studied as gala cells, with a DNA black hole gravitational nuclei, a protein membrane or halo of hard strangelets and a cytoplasm of mitochondria stars. For example, stars can be studied as life-systems of H-He, superfluid, informative states and super-hot entropic, plasma states of energy. While planets should have Uranium ‘neuronic minds’ with central crystals of iron. While, bosonic top quark black holes in galaxies, too remote to our information to fully grasp their structure, should act as the DNA of galaxies. Biology and information the queen of all sciences. Obviously knowledge is information, so that would be enough to make understand scientists, which is the queen of all sciences. Thus while biology do follow the same patterns of all other sciences, the reader should understand that the focus of biological systems is in form, not in quantity, in internal hierarchical organization, not in external motion and form. That is, all concepts of General Systems Sciences and its scalar space-time formalism do have a quite different interpretation. And normally it means to consider internal parameters over external ones, time, slow processes of inner change, over time fast processes of external change (translation), complex curved ‘baroque’ forms, over simplex perfect cyclical ones, etc. It also means that of all the systems of the Universe the one that gives us a closer homeomorphism with T.Œ is biology, along the formal language of ¬Æ mathematics (i-logic mathematics), and so those 2 the ‘language of those languages’ and the forms better observed by human beings, biology and the social sciences derived from its laws as we are biological beings, should dominate physical sciences plagued of errors of anthropomorphism that denies sentient, biological, organic and casual patterns tot he Universe. and its Œ-points and it is riddle with uncertainties by excess of information (lower scales) or lack of it (upper cosmological planes). To the social organisms of mankind, studied in greater detail in the next posts made of To(political, legal) < ST (economic) < Se (Gaia) systems, where man is the neuronal brain of the body of Gaia and its economic networks. The system’s Space and Time components, which are also its Energy and Information, as Space is a fixed vision of the energy quanta that make a system, and information a still vision of time cycles that carry it in the frequency and form of those cycles. So we identify the main elements and plane of existence of a system and consider its ‘gender varieties (lineal energy=male, cyclical information=female’ and Sp vs. Tƒ symmetries. its 3±∆ ages in time…and its evolutionary ages in the ∆+1 plane of species. Thus now we can easily describe its main 5 actions derived by those Dimensional components across its ∆±4 Fractal planes of existence: ∆æ-4 (acceleration of motion), ∆ï-3 (perception), ∆e-2 (feeding), ∆œ-1 (Repetition), ∆ §10≈û+1 (social union)¹. The ‘metric’, Scalar Space-time Generator equation which describes all its Space-time dimensions and isomorphic planes: ∆±4=SpxTƒ. And it allows to study its ∆-4, motion, ∆-3, information pixels, ∆-2, energy quanta, ∆-1 seminal seeds, §10≈û+1, social scales, ∆+1 super organism, ∆+2 world and that’s about it. We do not really care for its ∆+3 galaxy (-: and beyond. And so now that we have it almost all said, we define the ∆ST structure of the being, with its specific generator equation in which the whole is represented, with all the previous data. This generator equation completes our understanding of the being. 6th Isomorphism: Social classes: Ξ±3. We show now the processes of creation and diversification of a given species. We study its gender dualities and its topological varieties caused by Sp,ST,Tƒ differentiation and the coding 4 numbers of its ‘∫æ,e,ï,œ≈û’ actions. Then we find its internal hierarchical social class structure and exchanges of energy and information among its ∆±1 ‘willing’ scales (the cellular/atomic ∆-1 plane, the individual and ∆+1, social/cosmic plane, where the being exists and which remains co-invariant through its inter-actions. So we analyze the closest world around it, through the perpendicularity and parallel laws of Non-Euclidean geometry’s ‘3rd postulate’ of similarity. 7th Isomorphism. Existential Constants: ∑S, ∏T, SxT, S/T, T/S, Œ∆±1, 5Å. Next, we study the system quantitatively, through its Constants of Action, its Social Constants and its Space-time symmetries, all of them determined by the ratios of exchange of energy and information between its PSD elements. This is the most mathematical detailed analysis after the qualitative understanding of all the elements of the being. Finally we consider the last phase of its evolution which is social – for the most advances species, which transcend into a higher ∆- plane of existence through §10=(3×3+∆)¹° scales. 10th isomorphism:∆±1: finally we can describe the whole through the 10th isomorphism, ∆, where all the parts come together. -O is the atom of §ð lineal motion, given its high electronegativity that allows it to attract and repel other atoms with easiness, and its dual H-valences, which conform a lineal topology normally with a single H feeler and the second valence used to join the Carbon chain. Further on it tends to appear in the alkaline, ‘attractive’, ‘positive’, informative, 7.2 PH of the cell – natural to all implosive, informative systems, charged with ‘negative’, expansive topology. – Max. E: Finally, both the ∆+1 world and site of future Entropic death of all life systems, its medium, is water, which fills the ‘external world’ in which life feeds and internally becomes in complex living organisms called cells, the filling Entropy of the intermediate space, enclosed between its carbon-based protein & fat walls and the inner, informative, nitrogen-rich, ADN hyperbolic singularity. Water is the simplest, most abundant ternary molecule of the Universe, made with 2 slave hydrogens and 1 dominant oxygen – the atom that has the maximal ‘electro-negativity’ after fluorine. Thus, oxygen can capture the electronic body of any other atom. That is why the oxygen components of carbohydrates enact its energetic cycles, moving those organic molecules within the water ecosystem. Since they stomp on water, breaking it and creating expansive and implosive 0H–, H± ions that impulse the molecule; as you walk on the floor, ‘stomping’ on the electromagnetic fields of the ground or as a fish moves, hitting the water with its tail. The evolution of carbon-life molecules happens in 3 series of growing size, diversified in Max. Spatial Entropy, Max. Temporal Information, and Se=To balanced subspecies. 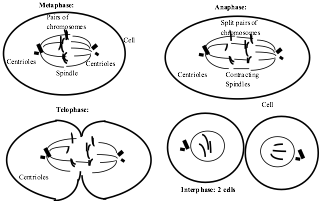 In the graph the Topological Disomorphism of cells: Protein are the ∆-2 lineal molecules which emerge, inverting its form as ∆-1 ðƒ, cyclical membranes. Inside the cell ∆-2 wave-like Nucleic Acid create the ∑∏-reprodutive element of the cell. Within them ∆-2 fat carbohydrates become the $-lineal vital energy sandwiched between both. So we can write a generator equation for the cell: $-fat carbohydrates>∑∏-reproductive DNA>ð-cyclical proteins . Cells follow all the laws of ∆S≈T, and are themselves supœrganisms with lower scales of being. So we can study those lower bio-chemical scales first.